The design for my card was inspired by Pals Paper Arts PPA268. I started by inking the Hardwood stamp in Chocolate Chip ink, stamping it once on scrap paper, then stamping it on a panel of Crumb Cake card stock. 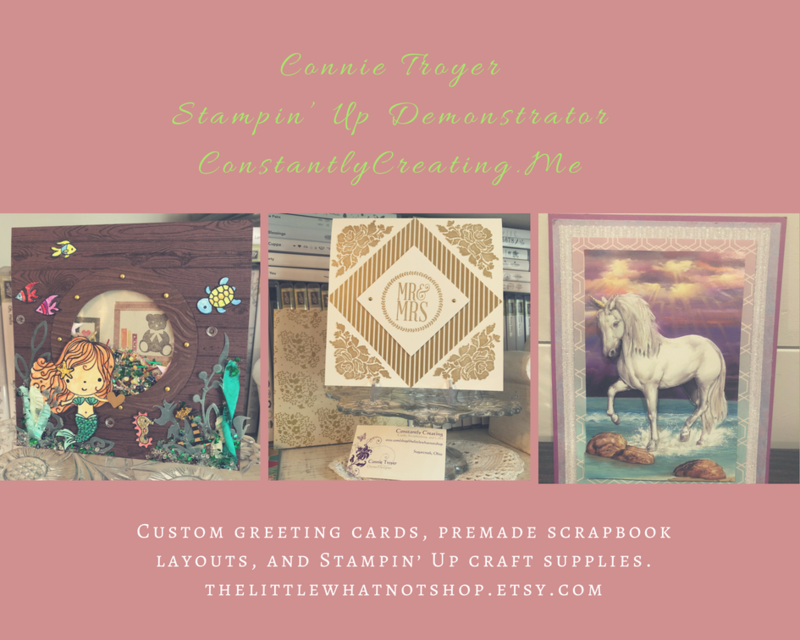 I adhered the stamped panel to a panel of Chocolate Chip card stock with SNAIL, then to a Pumpkin Pie card base with Stampin’ Dimensionals. I cut a leaf from Gold Glimmer Paper with the maple leaf die from the Leaflets Framelits die set and adhered it with Fast Fuse Adhesive to the card front. I stamped the image from the Happy Scenes photopolymer stamp set in Chocolate Chip ink in a panel of Whisper White card stock and carefully added a bit of color with the fine tip of my Old Olive, Pumpkin Pie, Crushed Curry and Cajun Craze Stampin’ Write Markers. I cut the image out with the maple leaf die from the Leaflets Framelits die set, sponged the edges with Chocolate Chip ink and adhered it with Stampin’ Dimensionals over the gold leaf. I pulled a strand of Linen Thread through a Gold Basic Metal Button, tied a bow and adhered the button with a Stampin’ Dimensional to the card front. I colored the sentiment from the For All Things stamp set with my Pumpkin Pie and Chocolate Chip Stampin’ Write Markers, stamped it on a panel of Whisper White card stock and I punched it out with the Washi Label Punch. I punched the sentiment with the Washi Label Punch a second time to make it a little smaller (used a Post-It Note to hold the card stock when I punched it the second time), sponged the edges with Chocolate Chip ink and adhered the sentiment with SNAIL to a Washi Label Punch from Chocolate Chip card stock. I adhered the layered sentiment to the card front with Stampin’ Dimensionals. I stamped the image from the Happy Scenes stamp set in Chocolate Chip ink on a Whisper White panel inside the card. 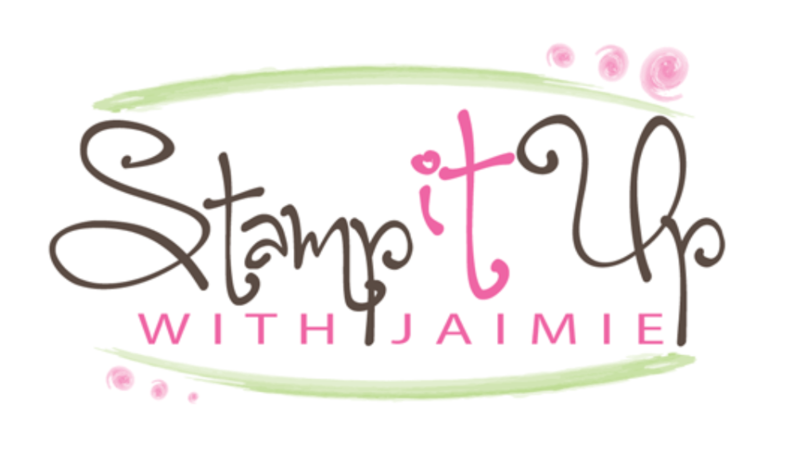 I used the fine point of my Stampin’ Write Markers to add a little color to this image as well. This entry was posted in For a Friend, For You, Quick and tagged Alpharetta, Alpharetta ga, Amy Koenders, Atlanta, Atlanta GA, card making, card making supplies, CAS, Demonstrator, Duluth GA, For All Things, Georgia, hand made card, Happy Scenes, Johns Creek, stamp with amy, stamp with amy k, Stampin Up, stampin up atlanta, stampin up blog, stampin' up amy, stampin' up demonstrator. Bookmark the permalink. This is INGENIOUS! I am so bummed that I won’t be getting my leaves until AFTER my next club! I would so like to share this with them! It’s wonderful! Aww, thanks so much Jodi! Oh Amy…..what a great card!!! I think I’m going to add it to my next SAS, if you dont mind! I’m going to make a few extra for myself too! Great idea! I love the creative minds out there! What a incredible card! Had to come on over and let you know! Thanks for inspiring me! Very clever! Big thumbs up!! Wow! What a fabulous design! Everything about this card is fabulous. Love this. Best fall card I’ve seen. And I’m thinking of ways to use this layout for other holidays/seasons/occassions. Great job! Amy, this card is gorgeous with all the details and yet with a very clean layout. I too have loved seeing scenes on the maple leaf cutouts. Thanks so much for including the PPA sketch challenge with your PP DT inspiration!! This is so unique! Way to go Amy! This is such a fun idea! I love the cute fall scene you created, Amy! So clever! Love the clean look of this card. It’s a winner! Wow, this card is beyond gorgeous! And how clever to create your scene on the die cut leaf!!! I love how you put the scene in the leaf! Perfect! This is a great idea, Amy! I love the image stamped on the leaf–adorable and your coloring is awesome. Great Fall scene! Such a great CAS fall card, Amy! I love the little scene, especially the pumpkins, and how clever to have your scene in the shape of a leaf. Love the bit of sparkle, too! Amazingly done design, Amy! Beautiful details, just love that gold leaf as a frame for the lovely fall scene!